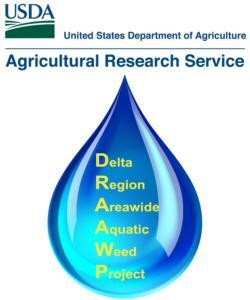 Weed Research & Information Center - Aquatic Weed School. Don't forget to sign up for the 2018 Aquatic Weed School, September 5-6, 2018 in Davis, California. This is a two-day course focusing on aquatic weeds and management strategies. New Progress Reports (February 2018) are now available under the Products tab! DRAAWP researchers plan to attend the California Invasive Plant Council (Cal-IPC) Symposium, Nov 7-10, 2018, in Monterey. Presentations are expected to include reports on the waterhyacinth drift study, on research into control of waterhyacinth with herbicides, and research on control of waterhyacinth and arundo with biocontrol agents.